GENESISTERMINUS from wild pansy press on Vimeo. Genesis/Terminus pursues the de-construction of a poetry by appropriation, intervention & modification of another text; in this instance, the King James Bible (Oxford Standard Text, 1769), imbued with passional emotion, is pared down to the first and last word (Genesis/Terminus) of every verse of every chapter of every book. The outcome is a work of work, a work of art and a work of poetry infolded with aphasic disorder, unthinking rhyme and corrupt narrative. ".....In earth And waters And light And darkness And day And waters And so And day And so And good And so And good And day And years And so And also And earth And good And day And heaven And good And earth And day And so And good And earth So them And earth And meat And so And day Thus them And made And made These heavens And ground But ground And soul And formed And evil And heads The gold And stone And Ethiopia And Euphrates And it And eat But die And him And thereof And him And thereof And man And Man Therefore flesh And ashamed Now garden And garden But die And die For evil And eat And aprons And garden And thou And myself And eat And eat And eat And life And heel Unto thee And life Thorns field In return And living Unto them And ever Therefore taken So life And LORD And ground And LORD And offering But fell And fallen If him And him And keeper And ground And hand When earth And bear Behold me And him And Eden And Enoch And Lamech And Zillah And cattle And organ And Naamah And hurt If sevenfold And slew And LORD This him Male created And Seth And daughters And died And Enos And daughters And died And Cainan And daughters And died And Mahalaleel And Daughters And died And Jared And daughters And died And Enoch And daughters And died And Methuselah And daughters..."
“neck For south But another For them”, “For soul The footstool The enemies Thy youth”, “At graves And earth And hosts Moreover return” are the new didactics of a radically altered scripture caught in a double-bind of stochasticism and vestigial sacrality that urges the reader to comprehend incomprehensible text; seeking, where non exist, anchors of rationality to the point of fabrication, the inner voice and eye trace the relic-rhythmicity of a once intact text. Likewise, the voice that passes “through the mouth” excavates the vandalised archaeology of the testaments for the Other, who is transfigured, indefinitely, into artefact. Choral Verklärung will be a singular, sonic treatment of the Genesis/Terminus project performed within the Wild Pansy Press exhibition space. Circumvolving recitalists will articulate the 153-page, 70, 000 word text-composition in its entirety, leaving only a residuum—stage, recital sheets, murmurs—of a past ephemeron to inhabit the installation and space. Tuesday March 13th 5.00 to 8.00, Leeds Art Gallery: a public performance of Paul Robinson's GENESIS/TERMINUS by massed WPP volunteers joined by the General Public. This is a film about the event, made by Jon Foxley-Evans. 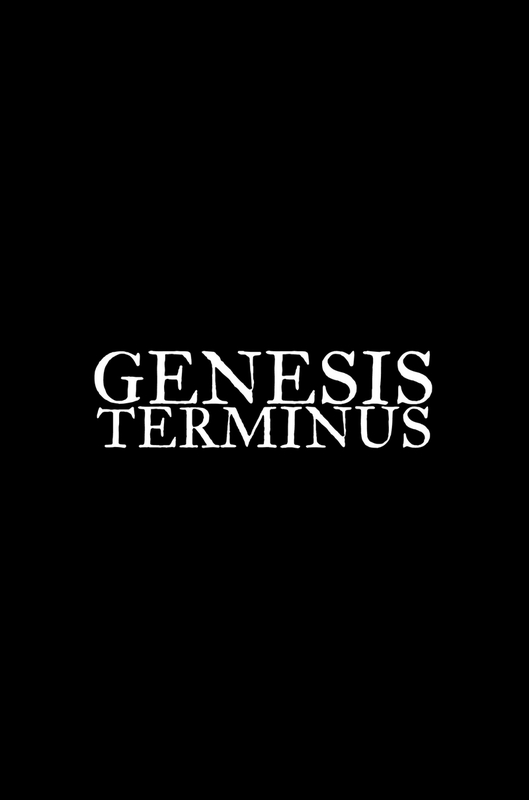 The Wild Pansy Press: Genesis / Terminus from Jon Foxley - Evans on Vimeo.